Having read my other SEO checklist articles, you should have a Joomla website that has been optimized perfectly as far as on-site SEO is concerned. Even without doing anything further, your site might start ranking pretty high, depending on the search terms you are aiming for. However, if there is a lot of SEO competition going on, this might only be half the work you need to do. Especially having links to your site from other websites is crucial if you want your site to be between the top-competitors, but also presence in social media is getting more and more important. Let's discuss these topics in some more detail. Remember though, link building is not effective when your on-page SEO is not in order, www.neilpatel.com/2016/01/19/everything-you-need-to-know-about-off-page-seo! Linkbuilding has changed a lot in the last few years. While not long ago, getting as many links as you possibly could, no matter how obscure the linking sites, could get you pretty high up in the rankings. However, this is no longer the case. Especially the Penguin update that Google released in 2012 changed the algorithms in a big way. Many sites that used scammy techniques for linkbuilding were (and still are) penalized. Techniques that are no longer allowed are buying links, link-schemes, spamming comment-forms with your own links, setting up microsites especially for creating unnatural links, etcetera. Of course, Google cannot always tell for 100% if a certain link is paid or not, but it tries to filter out the bulk of those using it's algorithms. So, when looking at a few hundred links to your site, a natural pattern would be for about 70% to be linked with the URL as the anchor-text and the rest with specific keyword-rich anchor text. Also Google looks at the quality of the site linking and whether the site is related to the site it is linking to. If you ever used these bad techniques and you have been hit by Penguin, you should try to get rid of the mess. The best would be to remove those links, but this may be very difficult. Happily, you can also ask Google Search Console to not count links if you tell them (disavowing links). Paid tools like Cognitive SEO or Link Detox can help you with that. By the way, if you ever notice that a site is surpassing you with spammy link building techniques, you can tell Google about it by filing a spam report. 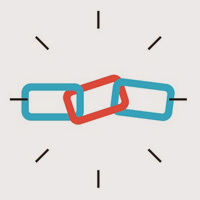 For a very thorough article about attributes that make up the importance of a link, check this article on Moz.com. The only way to go is to make sure your content is so compelling that people on the web will be linking to you in a natural way. You can achieve this by creating great content that is really useful, being funny, great video's or infographics, etcetera. Of course, this is easier said than done, and if your site is in a 'boring' business this is even harder. Some reliable sites allow you to leave a link in a comment section. This could be a profile page on Linkedin or Facebook, a comment accompanying a great video you placed on Youtube or Vimeo, a presentation on Slideshare, etcetera. Again, make sure these are legitimate links. Don't place them just for link building, but make sure the actual video or presentation is great content on it's own. Use quality (local) directories that only allow curated links. There are many, many sites out there that allow you to post a link in a directory for free or for a small fee, but almost all of these have ben used for spam and are marked as unreliable by Google. However, if a directory only allows links after they have been carefully judged, this link may still be reliable. Examples are Yelp or the Yellow Pages. 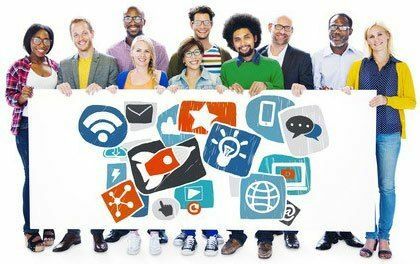 The importance of social media keeps growing, and search engines take this into account more and more. Recently Google even introduced recent Tweets directly in the search results. I won't go to much in detail for social media, but make sure you use the channels that are important for your business. Usually, this means that you should at least be active on Facebook, Twitter and Google+, but if you're in a business like fashion also Pinterest is probably an important one to take into account. Also here: don't use illegal techniques like buying likes and followers, but be genuine and promote sharing by creating great content. Don't forget to actually promote your site and spend time doing so. Great results take effort. Keep creating interesting articles on a blog-section of your site that people will love to link to.